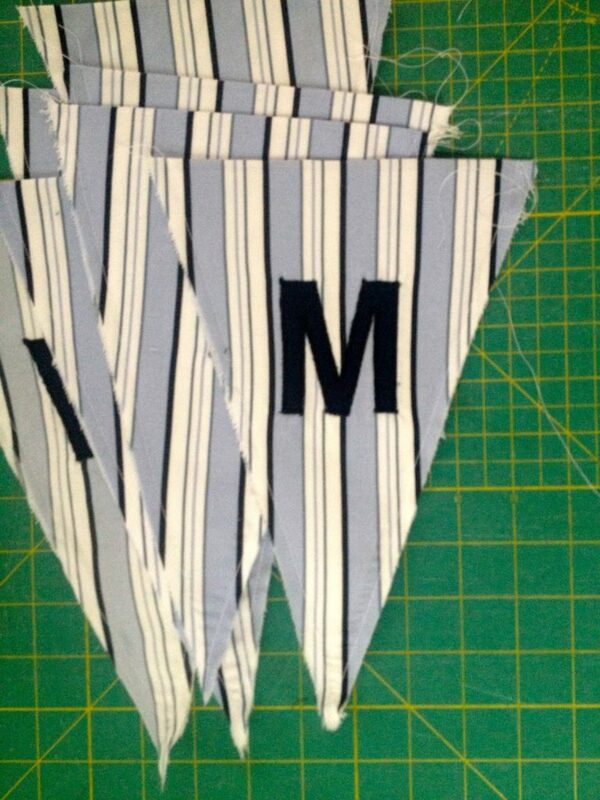 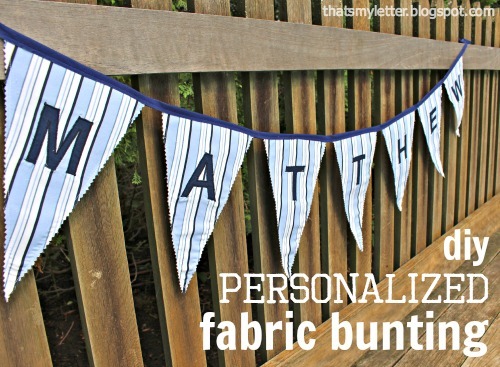 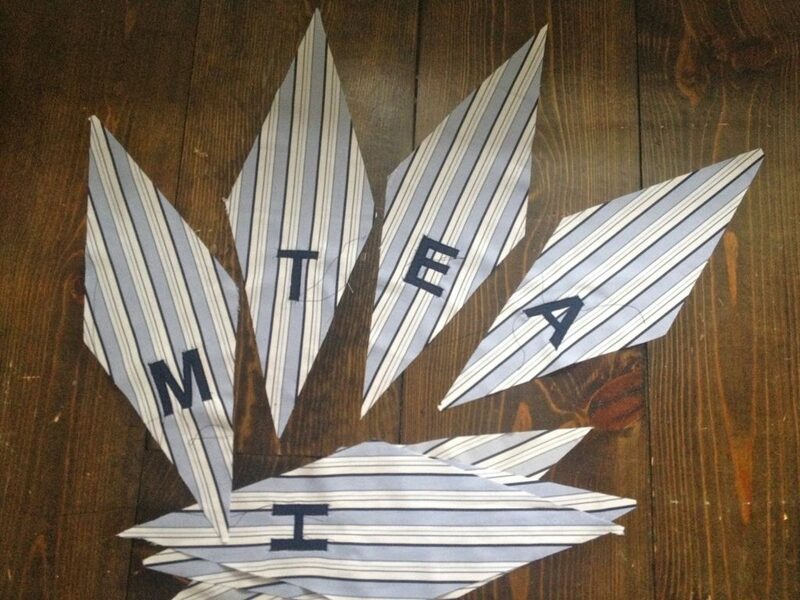 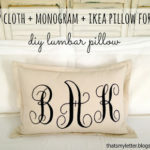 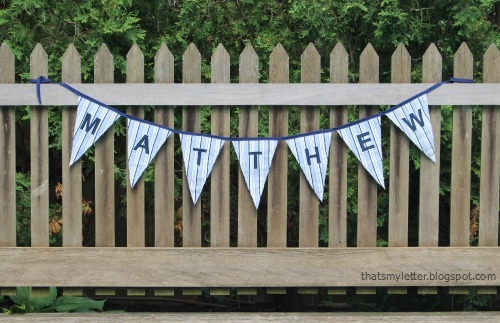 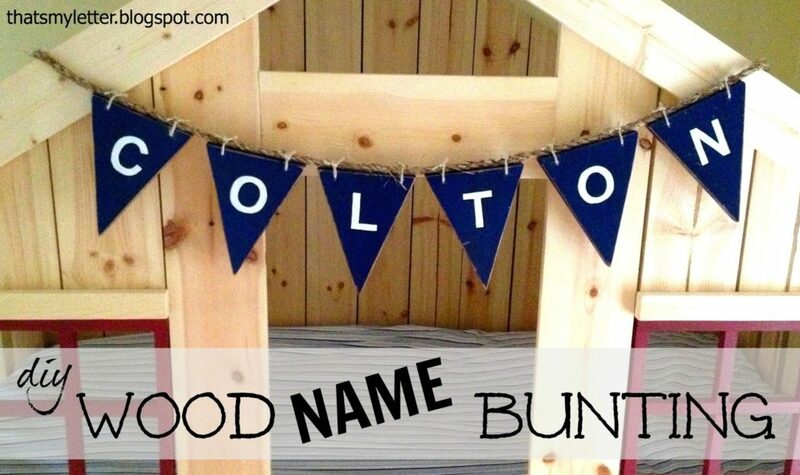 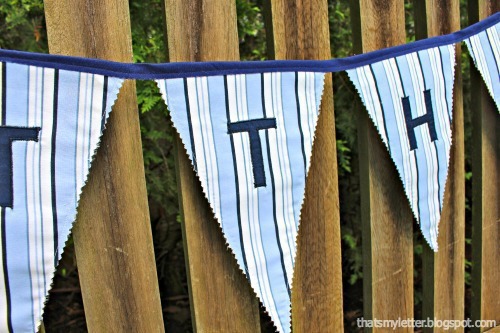 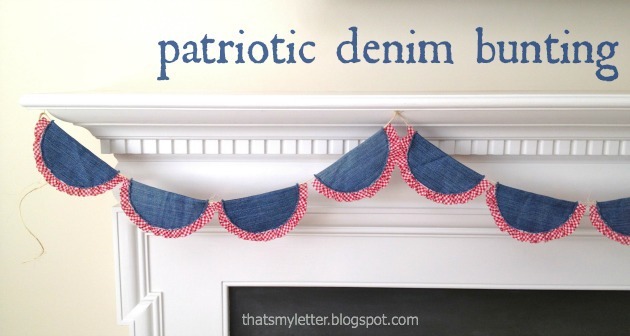 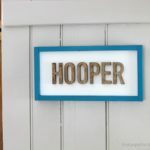 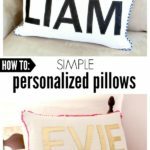 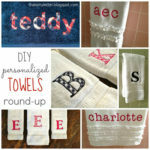 Sew this personalized fabric bunting with letters made using a lightbox, no fancy machines. 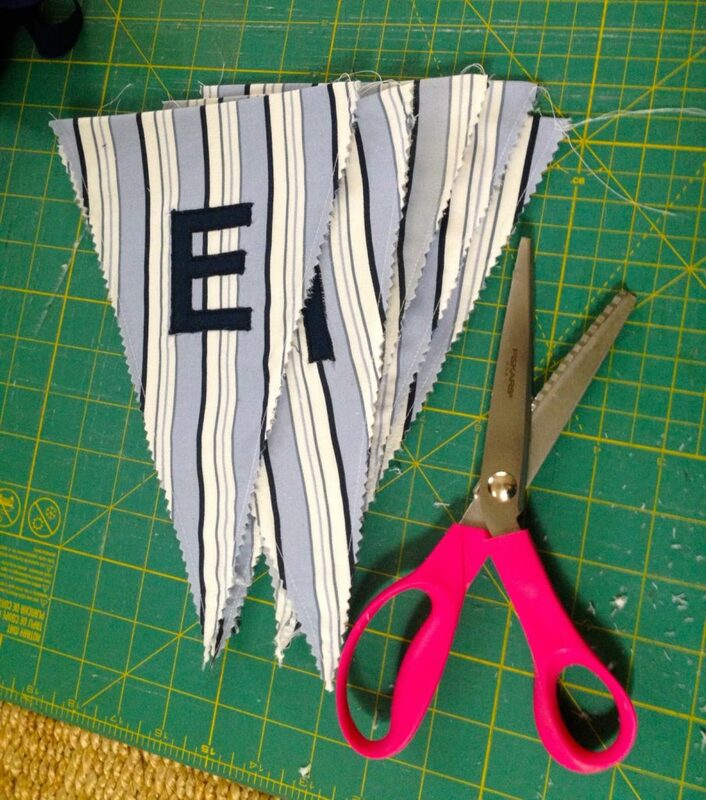 Step 1: Cut fabric triangles ON THE FOLD. 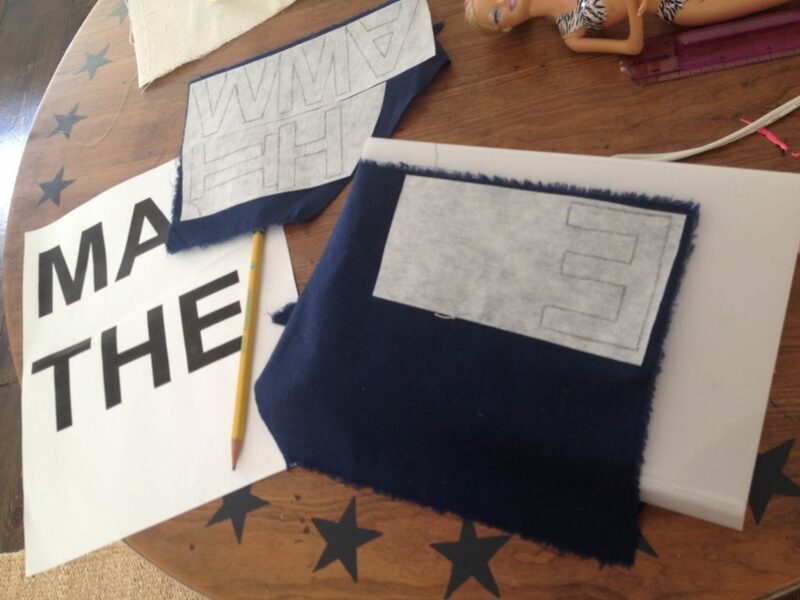 Use a paper template. 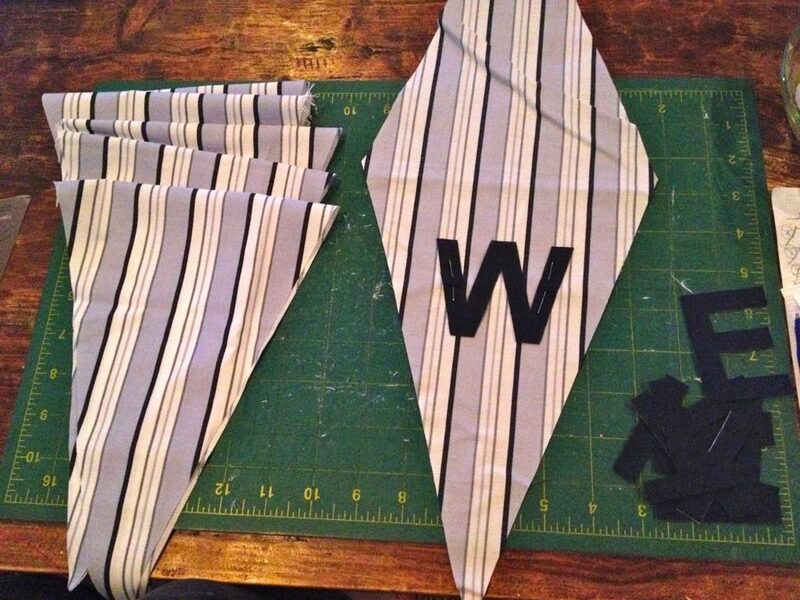 Step 3: Pin letters to one side of triangle. 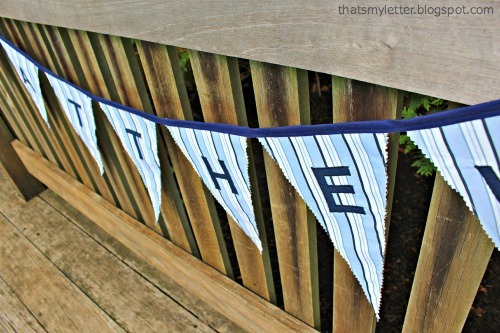 Step 4: Sew letters in place with tight zig zag stitch. 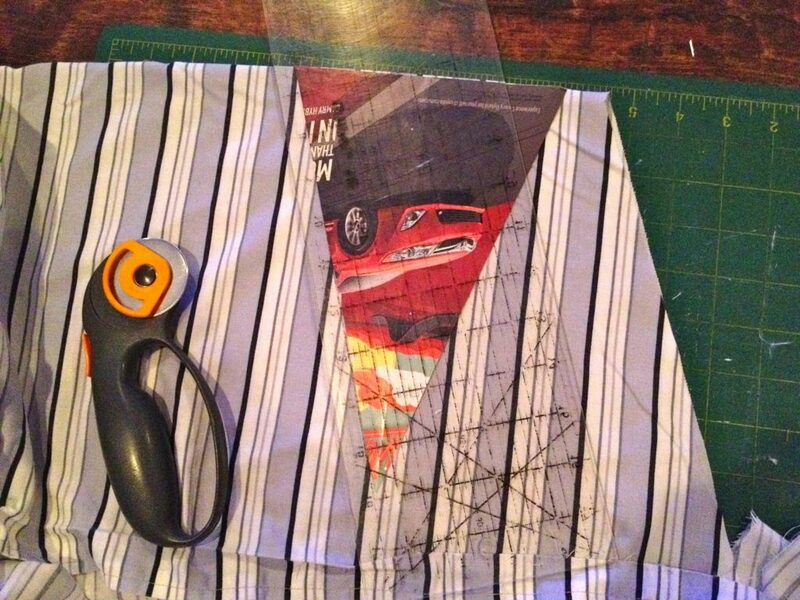 Step 5: To increase stability of fabric iron on double sided fusible interfacing in between each triangle. 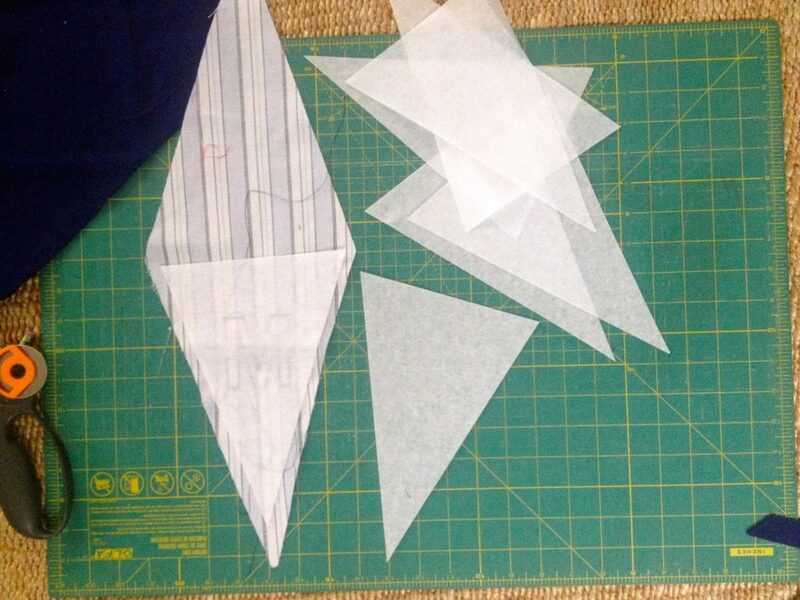 Step 6: Sew each triangle shut on both long sides about 1/2″ in from raw edge. 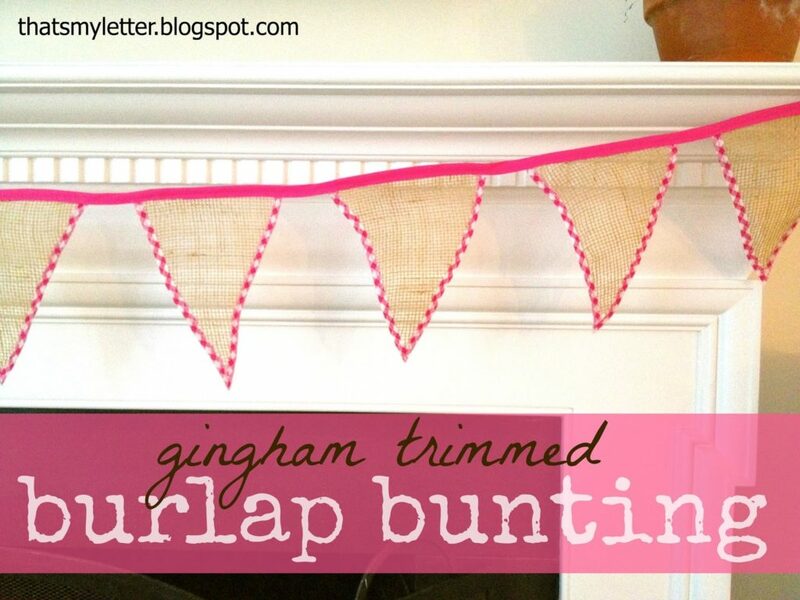 Step 7: Trim raw edge with pinking shears. 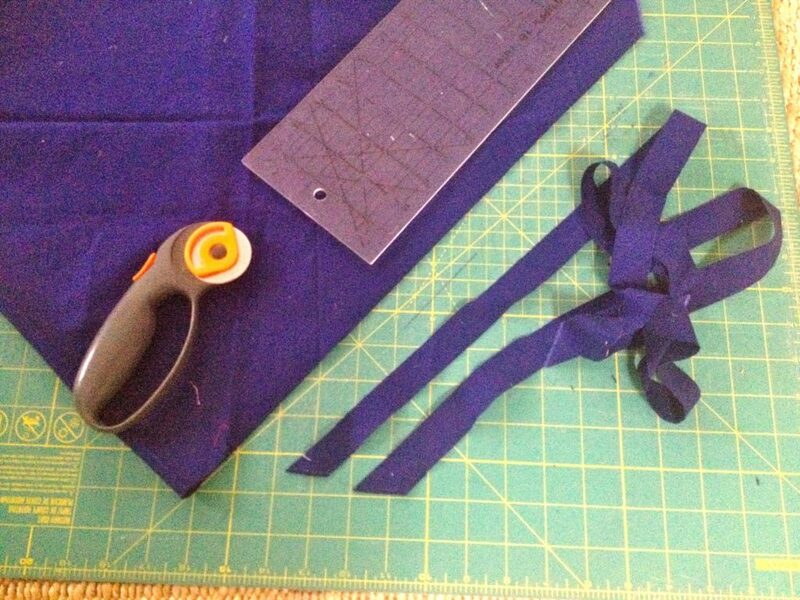 Step 8: Cut bias strip for top (or use a wide ribbon). 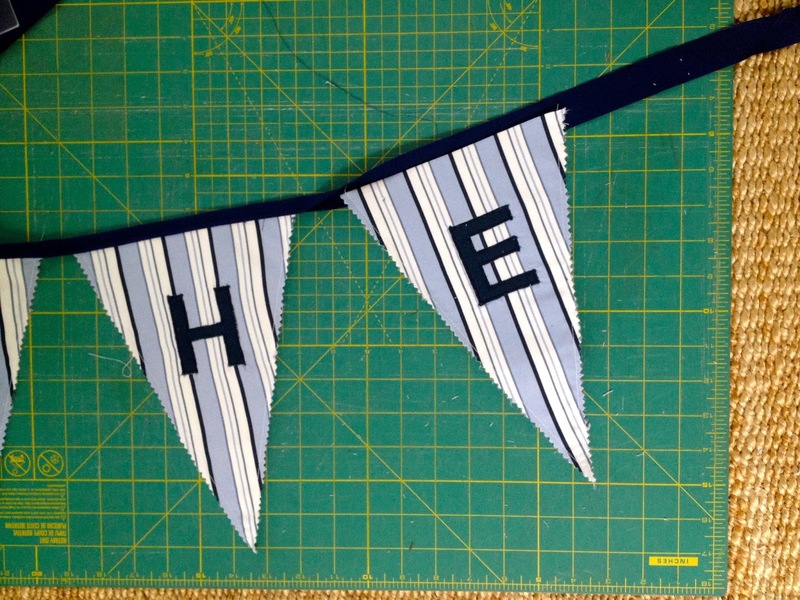 Step 9: Place fold edge of triangles into bias stripe at center, fold over and top stitch shut.